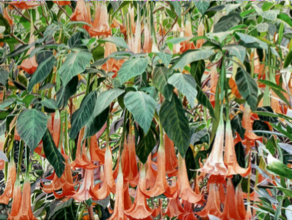 Miami Watercolor Society (MWS) was founded in February 1974 by Peter Drew. He brought together a group of painters who shared his interest in exploring the watercolor medium and they formed the original charter membership of 66 artists. Their first exhibition was held in November of that year. MWS is a volunteer-based, non-profit organization whose membership consists of a broad spectrum of water media painters. The culturally diverse society informs and educates members and others by providing workshops, exhibitions, demonstrations and publications. 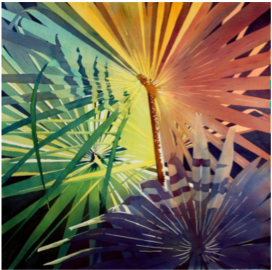 Miami Watercolor Society’s mission is to teach and promote watercolor painting. In our ongoing effort to follow our mission, every year with the help of our partners, we sponsor “Impressions in Watercolor” a juried art show, among students of all ages in the Miami-Dade County Public Schools and as well as a watercolor workshop for their teachers. MWS also sponsors 2 juried watercolor exhibitions every year, the annual Fall Exhibition is typically held in October, whereas, the Spring Exhibition runs during the months of March or April. Several other Exhibitions are held throughout the year at different venues around the county, allowing MWS to enlighten many communities to the beauty of water media painting. Members of the Miami Watercolor Society continuously give to the community and spread the joy of art to all. Many of the members participate in local art Festivals such as the Coconut Grove festival, the beautiful Beaux Arts Festival and the St. Stephens Arts Festival. Shown are award winning paintings from 2 of our members. The society supports 2 or 3 nationally recognized watercolor artists each year to lead 4-day workshops on watercolor and water media painting. These artists bring their own unique style and inspiration to the participants, enriching each student’s knowledge of the medium. Our popular Beginning watercolor classes are held the 3rd Sunday of each month, taught by a different MWS member/instructor each month. 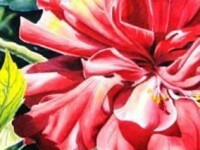 This program benefits the new members who may have not been exposed to all the various techniques used in watercolor painting. These classes are available to member and non-members. MWS members also enjoy plein-aire painting during the cooler months at the parks and beaches of South Florida. Currently, MWS holds their General Meetings and Beginning Watercolor Classes at the Pinecrest Community Center, 5855 SW 111 St., Pinecrest, FL. You will find us there September – May, the 2nd Sunday of the month, 1:30 – 3:30 pm. Stop by and enjoy a live demonstration, refreshments and lots of artful conversation!